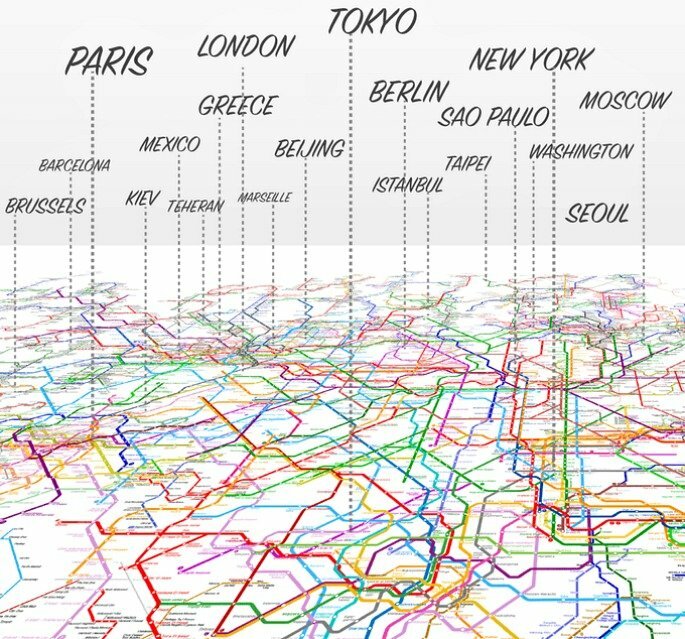 At first glance, it might look like a metro for some city you’re not familiar with, perhaps Berlin or Beijing, but this map is actually a combination of almost all those cities that might come to mind. 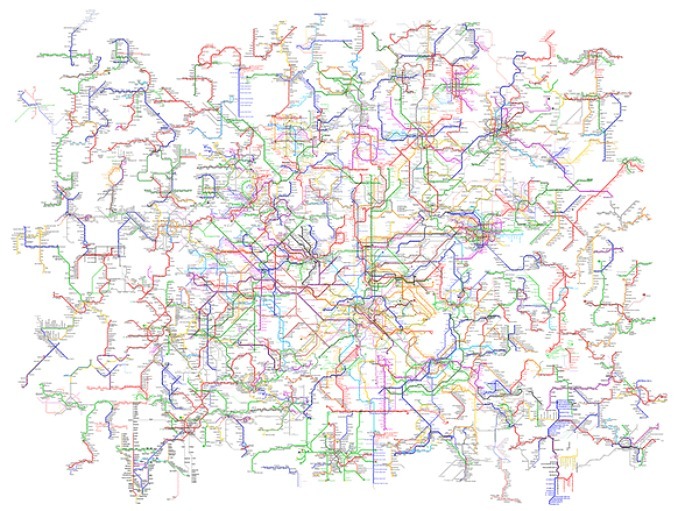 Titled The World Metro Map, it’s a mashup of 214 subway systems, totaling 791 lines and 11,924 stations (h/t Cool Hunting). New York-based collective ArtCodeData teamed up with non-profit Open Access to create the map as a representation of “human mobility” explored through the unifying element of subways. The result is a “digital collage” that’s colorful, geometric, and provides a new view of world transportation. The idea came from New Babylon, a 1959 map by architect Constant Nieuwenhuys that imagined a borderless world where people could travel freely. 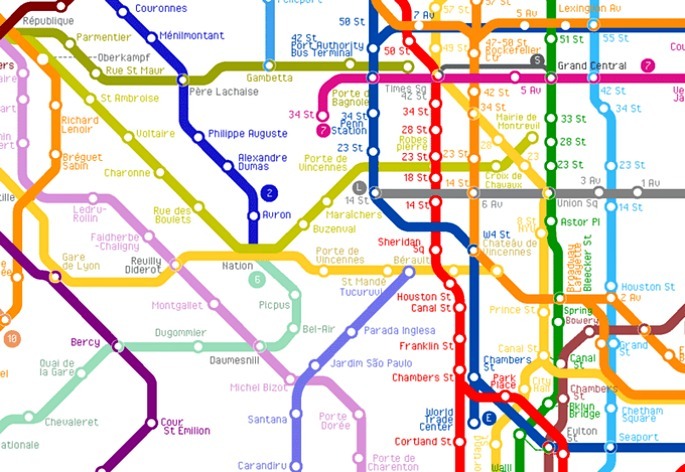 In the new version, “Every line in this map represents lines and stations in the real world, however all the lines are interconnected in a way that they all form a mega subway system.” The project has already exceeded its goal on Kickstarter, where it’s being offered in two sizes: 40″ x 30″ for $29 and 60″ x 45″ for $49.